Based on our previous article we demonstrated that the majority of residential as well as non-residential fires start in the kitchen. These fires also account for the majority of the deaths and injuries from both residential and non-residential fires. The majority of these fires can be prevented! A clean kitchen is a safer kitchen. Wipe up spills as they happen. Clean crumbs and grease buildup from cooking appliances regularly. Clean the exhaust hood and duct over the stove on a regular basis. Grease can catch fire easily, and grease fires can be difficult to put out. Keep messes under control to avoid these risks altogether. Act fast to limit the severity of burns. Run cool water over a minor burn for 10 to 15 minutes to limit its seriousness. Never use grease or butter on a burn. If burned skin is blistered, see a doctor. For blackened skin, shallow breathing, or unconsciousness, call the fire department or ambulance service. Careless cooking starts more residential fires than any other cause. Cooking accidents also hurt people – more are injured in the kitchen than from any other fire-related cause. Brush up on kitchen safety and cook smart. It is easy to develop bad cooking habits. Don’t get burned. Cook with the lowest effective temperature. Do not store cooking fat on the stovetop. A burner could be turned on, accidentally starting a grease fire. Plug in appliances only when they are in use. Keep metal out of the microwave – even a twist-tie or a bit of aluminum foil can cause “arcing,” which can lead to fire. Wear close-fitting clothing when you cook. Avoid loose sleeves, ties, or ruffles. Keep pot handles turned toward the back of the stove. An adult may brush against the handle, or a child may pull the pot off of the stove and be burned. Supervise young children in the kitchen. Do not touch or try to move a flaming pot. You may spread the fire and/or burn yourself. Slowly remove lids from containers that have been in the microwave oven. The steam that builds up inside containers can cause serious scalds. You have called the fire department. You know what is burning. 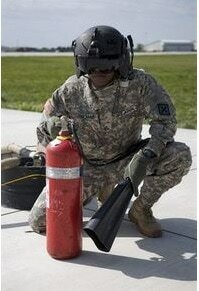 You have the necessary supplies (pan lid or correct fire extinguisher). Everyone else has left the area. You have a clear path to the exit. Never use water, baking soda, or flour on a grease fire. Instead, carefully slide a lid over the pan from the side, and turn off the stove. Keep the lid over the fire until flames are out. Smother a fire in a conventional oven or microwave oven by keeping the door closed. Unplug or turn off the unit. Have the microwave serviced before using it again. If paper, cloth, or food (other than grease) is burning, it may be safe to use an A or ABC fire extinguisher, if you know how. A fire extinguisher labeled C, BC, or ABC can be used on an electrical fire. If the fire does not go out right away, exit. If you haven’t done so already, call the fire department, using a neighbor’s phone. This entry was posted in Fire Safety, Kitchen Fires and tagged fire safety, kitchen on August 2, 2018 by Landon Burke. According to the U.S. Fire Administration, the United States has been building fire prevention and awareness over the past decade to a point where the number of fires, deaths from fires, injuries from fires, and the dollars lost due to fires has been decreasing at rates up to 20% from 2006. To a casual reader, a total of almost 1.5 million fires in the United States, well breaking this list down to where fires actually occur can help determine how we as a community can contribute to a reduction in the number of fires. 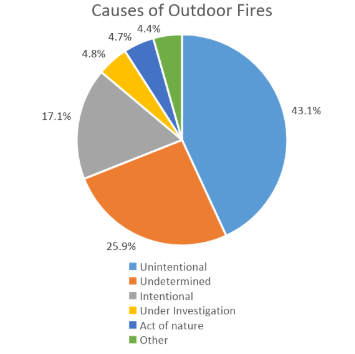 From this list the largest single source of fires comes from outdoor fires, contributing a total of 41% of reported fires. Breaking this down into Residential Fires we see that the main cause of residential fires occurs from cooking! 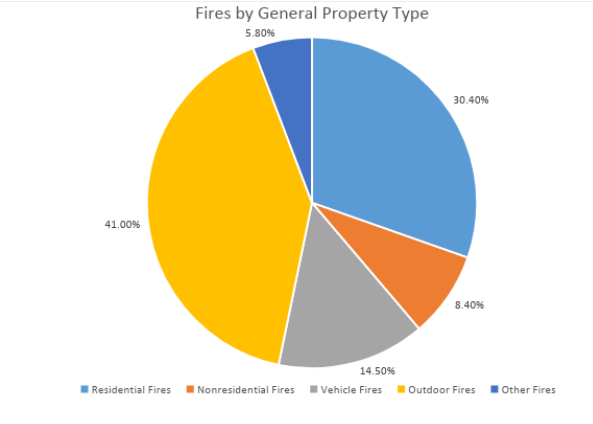 This entry was posted in Fire Safety, Fire Statistics and tagged fire safety, Statistics on July 15, 2018 by Landon Burke. According to the National Fire Protection Association Roughly one in every 320 households per year had a reported home fire during this five-year period. These fires caused an estimated average of 2,570 civilian deaths, 13,210 civilian injuries, and $7.2 billion in direct property damage per year. 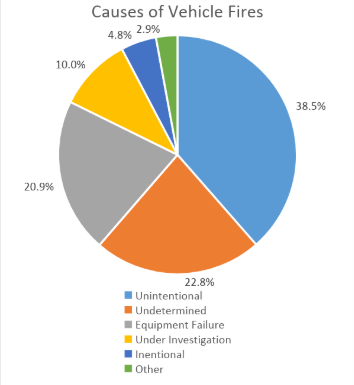 Of these, One-quarter (25 percent) of the home fire deaths resulted from fires that originated in the bedroom, another quarter (24 percent) from fires in the family room, living room, or den, and 16 percent from fires starting in the kitchen. Half of home fire deaths were caused by incidents reported between the hours of 11:00 p.m. and 7:00 a.m. Does your family have a fire escape plan if a fire were to start in your home? Do your kids or parents know how and have a safe escape route in the event of a fire? While fires are dangerous for everyone involved, people with disabilities face unique challenges in a safe escape during a fire emergency. Taking the time once per year to prepare a plan to escape in the event of a fire could help save lives. This guide will highlight several safety measures for those living at home with common disabilities such as: poor vision, hard of hearing, and other physical disabilities. The National Federation of the Blind reports that there are roughly 7.3 million people in the United States with visual disabilities, with nearly 3 million of them being adults age 65 or older. Because of this impairment, these individuals are also at a much higher risk for both starting accidental fires and becoming injured as a result of trying to extinguish fire. Are your wall outlets overloaded? Do you have excessive extension cords running to multiple electrical outputs? Are your electrical appliances in good condition? Are any of the electrical wires or or frayed? Are you replacing light bulbs with the correct wattage? Are your outlets and appliances grounded? Are your chimneys and space heaters properly cleaned and maintained? Do you use a time when baking in the oven? Is the space around your oven kept free of paper and flammable debris? Take a look around your home for potential problems. Unless you are a confident trained electrician, it may be best to have someone more experienced or an electrician over to diagnose and fix some of your homes shortcomings. Are my fire alarms able to wake me up when I am sleeping? Does my fire alarm have a flashing strobe? Does my fire alarm vibrate? It is essential that people with hearing disabilities install specially designed smoke and fire alarms. Do I live or sleep on the ground floor near an exit? Do I have a ramp accessible by my nearest exit? Can my walker or wheelchair fit through all the doors and hallways leading to the emergency exit closest to me? Can my doors or windows be easily opened? How can I contact emergency services with my physical disability? This entry was posted in Disabilities, Fire Safety and tagged fire safety, physically impaired, Statistics, Tips, visually impaired on July 11, 2018 by Landon Burke. Adequate training will prevent you from committing an error the first time whereas experience will help you to avoid making any mistake the second time. This is a quote mentioned by a fire service mentor I am acquainted with. Being an experienced individual who has served for more than 40 years in the fire service department he comprehends the fact that in case we rely on it solely it won’t be feasible to achieve our target of optimal service delivery for the citizens. Unfortunately, experience is viewed by some individuals in our profession as the sole worthy teacher. On many occasions, I differ from them while debating strategies and other similar things. EXPERIENCE IS INVALUABLE! Nevertheless, it is quite difficult for you to control it and it is something which you will not be able to measure. Moreover, it is going to vary depending on what exactly you do and also the location where you work. It is not possible for a rural firefighter to have sufficient experience by attending one fire every month as compared to the urban firefighter who usually goes to as many as 25 fires every month. However, the rural firefighter was required to establish a draft on that particular fire every month whereas the urban firefighter had the opportunity to hit a hydrant every single time. Moreover, the rural firefighter was required to manage large homes and also stretch long lines while the urban firefighter did pull a pre-connect while dealing with a home having an area of 1000 square feet. Now the question that arises is who has got more experience. I believe that although the experience is not the same, both of them do have value. It will be prudent not to discount either of them while neither is applicable to each fire department and must be assessed as such. It is now evident that it is not possible to control experience; however, let us talk about what can be controlled. Training: It is not required to train for a minimum of 60 minutes in every single session. It will be advisable to spend most of this training period on what you actually perform. Drafting, dry hydrants, tanker shuttles and so on ought to be the rule in case you happen to be a rural department. On the other hand, training must be provided by the urban departments on forcing entry, stretching lines into occupancies of different shapes as well as sizes and also hydrant operations. Investing some time in training for the oddball materials is also essential. A big city experiencing a water problem must comprehend how to draft. In case a severe forcible entry situation is encountered by a rural department, they must understand how to cope with it; experience will not be able to teach these things effectively. Education: It is advisable for you to study regarding fire services as much as you can (I believe one hour every day on or off duty will be okay). Make it a point to go through blogs, magazines, and books and so on and also reread them, make an attempt to comprehend them, highlight the passages and read them again. Besides this, get beyond your comfort zone and take classes. Physical fitness: Fitness is actually a job necessity and not an option by any means. Although you might not like the idea of getting in shape for yourself, perform it for your family, your crew as well as your citizens. Attitude: Negative attitudes will be detrimental for any organization. Attitude is actually an option! While choosing your reaction to each situation, try to have an optimistic attitude. How to control them? Commence with one hour of going through anything related to fire service, one hour of hands-on training and one hour of physical fitness in every single session! In fact, this must be your minimum standard and it will help to link the gap of experience. You might have trained or read about a certain thing which has not been done by you before and in case you are confronted with it in your actual life you are going to have at least a starting point rather than no clue at all. As a matter of fact, you will be in a position to be more efficient in case you train or read on any particular thing which is performed by you extensively. By being in proper shape you will be capable of dealing with any situation successfully which you might be required to confront with and will be able to not only survive but also thrive. Never waste any day that you do not invest in your team, in yourself as well as your organization. I convey thanks to you for going through the article; make it a point to spread the word and REMAIN SAFE! This entry was posted in All on July 25, 2017 by Landon Burke. The age of technology has given people another chance to help us build a safer and sounder atmosphere for ourselves, our family, and our children. The possibilities are limitless with these unmanned aerial vehicles or drones, which is why people are beginning to invest in them more and more. In the past, these drones have proven their efficiency in serving as a means of mobile surveillance in dangerous areas without risking possible loss of human life. In recent times though, the applications for these drones have skyrocketed – with the Federal Aviation Authority (FAA) estimating an ownership of 15,000 drones in the country by the year 2020. Back in February, in Xiangyang, China, a power company demonstrated a creative way to remove garbage hanging on their hard-to-reach power lines. 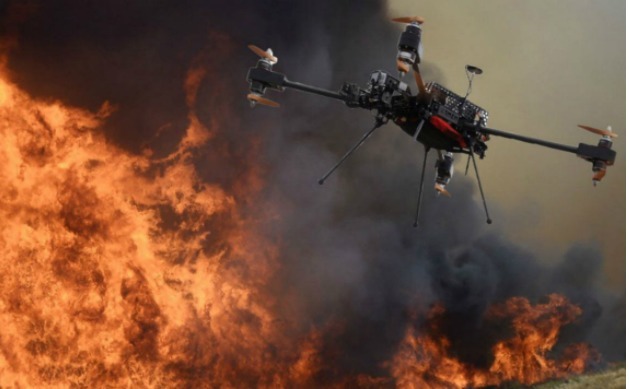 User operated drones would shoot plumes of fire at garbage hanging over 30 feet up in the air. Now, this might sound extremely dangerous to most, but it is much safer than having to climb there to attempt to retrieve it. • Agriculture – Farmers can use them for crop monitoring, finding areas that are infested with insects/bugs or even areas that need watering. In the future, drones could also help in the watering department. • Land Surveying – Drones able to analyze the surrounding terrain, pinpoint questionable areas and target certain defects that could diminish the cost of the land. • Security – If your alarms go off in your home, it would be better to have a drone check your surroundings than personally walking around and possibly risking your safety or that of your family’s. • Film Making – For aspiring filmmakers, the use of a drone to capture shots that usually cannot be achieved by traditional means can create a beautiful scene for viewers. Examples of their effectiveness are certain scenes shot from The Avengers: Age of Ultron. From 2010 to 2015, there was an average of 441,400 domestic fires that claimed 3,138 lives and injuring 15,047 more. 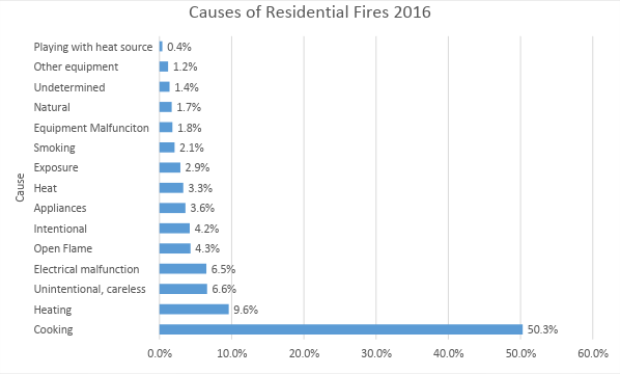 These statistics were provided by the National Fire Protection Association (NFPA), who also reports a total of $40.1 billion of damage throughout these years. Whether we like it or not, the local fire department usually arrives late, and that’s what causes this staggering amount of harm. Now, imagine if homeowners had access to an affordable drone that had basic firefighting capabilities. Not only would there be a possibility for you, as the owner, to prevent the spread of the fire, but it would buy time to ensure the safety of family members as well. Fires are very dangerous to fight especially if you are untrained, but having equipment that will allow you to fight from a relatively safe distance before emergency services arrive is an asset you’d want. The FAA (www.faa.gov/uas) has allowed local fire departments to exercise their processes regarding drone ownership and maintenance certification. Potential owners will, of course, require training which involves not only proficiency with the drone but evaluations as well. Knowledge of drone technology is an immense advantage in this day and age, the time and money you will be spending on training will pay dividends in the end simply because of a drone’s many uses. UAV technology can only get better as we get further into the future, so the money you spend now can guarantee the safety of you and generations of your family to come. This entry was posted in All on June 20, 2017 by Landon Burke. Fire safety, while often easily overlooked, can mean the difference between life and death for you and your loved ones. It’s easy to become complacent about fire safety and unfortunately, this can lead to tragedy. Complacency comes in different forms, including putting off the purchase of new smoke detectors or even replacing the batteries in detectors on a regular basis. Both wireless smoke alarms and battery smoke detectors can give us and our loved ones the vital few seconds we need to flee to safety in the event of an alarm, so it’s important to make sure they are well-maintained and have working batteries. If you feel that your home or property isn’t adequately equipped for fire safety, it’s a good idea to ask a fire safety professional to perform an audit at your home. You can do this by contacting your local fire department’s non-emergency phone number. There is a reason fire authorities are constantly spending money to market fire safety awareness. This is to prevent people from approaching fire and fire safety in a careless manner. The vast majority of fires are found to be preventable, with 75 percent of them taking place at home. Causes of these preventable fires range from carelessly discarded cigarettes to faulty kitchen equipment, to people cooking under the influence of alcohol. Proper use of wireless smoke detectors and battery smoke alarms could have prevented countless loss of lives due to faulty kitchen equipment or cooking under the influence of alcohol. Whether you have been drinking or not, it’s never wise to leave food unattended on a stove or grill, and an audit can show you whether your kitchen equipment is faulty and presents a hazard to you. Don’t underestimate the inexpensive price of some smoke detectors and alarms on the market today! An ionization smoke alarm is one of the cheapest fire safety products that you can buy, yet it can be indispensable when it comes to saving your life. There are a variety of fire safety products to choose from, and it’s wise to seek advice from a professional when it comes to deciding which smoke alarms and detectors are right for you. If you are running a business, seeking advice and assistance when testing fire safety equipment is key. Not only could your negligence end lives, you may also face tough punishments from authorities if you don’t maintain your smoke detector or alarm. Many businesses are legally obliged to review their fire risk assessments regularly and keep a written record of them. You may find hard wired smoke detectors to be most beneficial to your business. Whether you are maintaining fire safety for a home or business, you should ensure that a fire safety plan is drawn up so that people know exactly which steps to take if fire or smoke is discovered. Emergency routes should be outlined and you should invest in reliable fire safety equipment, like fire extinguishers and smoke detectors. Training should be offered to staff regularly and plans for vulnerable people such as the elderly or disabled should be drawn up. Alarm Traders Smoke Detectors can be ordered online for businesses, schools, offices and residences. This entry was posted in All, Fire Safety on June 3, 2017 by Landon Burke. Christmas Tree Fire Hazards – Movie segments demonstrating how fast a live Christmas tree can become fully engulfed in flames. Special fire safety precautions need to be taken when keeping a live tree in the house. A burning tree can rapidly fill a room with fire and deadly gases. As a home owner it is your responsibility to educate yourself on the common causes of home fires. Knowing how to prevent them is key in being able to protect yourself, your valuables and your family. It is also important to know what to do in case of a fire. The four leading causes of home fires are all preventable. Cooking is the leading cause of home fires and fire injuries and is tied for the second leading cause of home fire deaths. Never leave food cooking unattended, especially when frying foods. Wear short, close fitting sleeves when cooking. Never cook when you are tire or sleepy. Make sure young children are kept away from the cooking areas. Smoking has been the leading cause of home fire deaths for decades. Never smoke in bed or when you are tired. If you smoke, smoke outside. Make sure cigarettes are put out. Soak the butts in water before throwing them away. Heating equipment was involved in one of every five home fire deaths. Portable heaters and space heaters and wood stoves are never to be left unattended. Keep flammable materials such as drapes and clothes away from portable heaters. Make sure your heater has a thermostat and will switch off automatically if the heater falls over. If you have a fireplace or woodstove, check the chimney and pipes monthly for obstructions. Never use your fireplace or woodstove to burn garbage or paper. Make sure the fire is completely out before going to bed. Use a fire place screen to stop rolling logs and to catch sparks. Fires caused by faulty wiring, frayed electrical cords and plugs is another leading cause of home fires. Replace worn and damaged cords. Do not run cords under rugs or furniture. Make sure your home is up to code on your electrical wiring. Only purchase products that are nationally recognized by Underwriters laboratory(UL). Do not overload extension cords and use only three prong plugs in a three prong outlet. The best defense against a fire is to have working smoke detectors on each floor of your home. Replace the batteries annually and test them once a year. A working smoke alarm significantly increases your chances of surviving a deadly home fire. Fire spreads quickly, so make sure you have an escape route and practice it twice a year. Make sure you find two ways to get out of each room. If a doorway is blocked make sure you can escape through window. Having a window that fully opens and is well maintained is critical to this secondary escape route. Make sure windows are not stuck, or painted shut and screens can be taken out easily. Make sure each family member can open the doors and windows. If you find that some of your escape routes cannot be accessed easily contact your local window contractor or Replacement Windows company. Sleep with your door closed. In the event of a fire this will slow the spread of the fire. Remember to always feel the door before opening it. If it feels hot to the touch, going through a window will be your best escape route. Fire is dark, fast and deadly. Taking care to prevent the most common causes of fire is the first step in fire prevention. It is also important to know that when a fire starts, time is critical, know your escape route and get out fast. Being prepared is the best defense to keep you and your family safe. This entry was posted in All, Holiday Tips on May 24, 2017 by Landon Burke.